Microsoft recently released a beta version of their new Download Centre website. The new site is powered by SilverLight technology and provides very easy to navigate user interface when compared to the existing version. 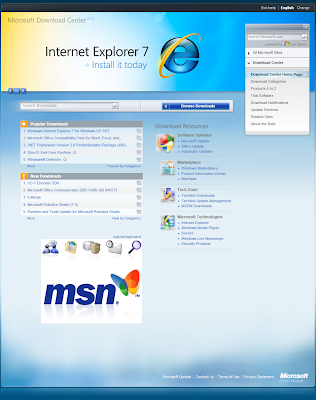 As this website is powered by SilverLight, you should install the free SilverLight plug-in from Microsoft. When you visit the site, an easy to follow installation wizard guides you through the steps required for installing the plug in.